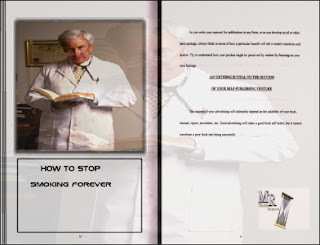 We present this book to you to help you quit smoking forever. The first week is the roughest. If you can make it just one week, you will be on your way to be tobacco free for life. Being healthy is the main reason to stop smoking. You will DIE if you continue to smoke. If you are thinking of quitting, do you know how to quit and control the need to smoke that cigarette? Why do you smoke? If you are still smoking, ask yourself “Am I ready to quit Smoking”? Can I quit? You must be ready to quit smoking in order to quit and stop. think about quitting, talk about quitting, and even try to quit several times. You might be one of those who have tried several times to quit, but it doesn't last long and you start smoking again. Nicotine reliability will be the hardest part to adjust in the quest to stop smoking.